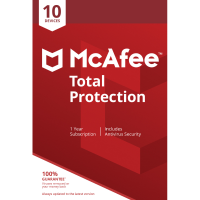 McAfee Total Security bundles everything you need to keep all your devices safe. 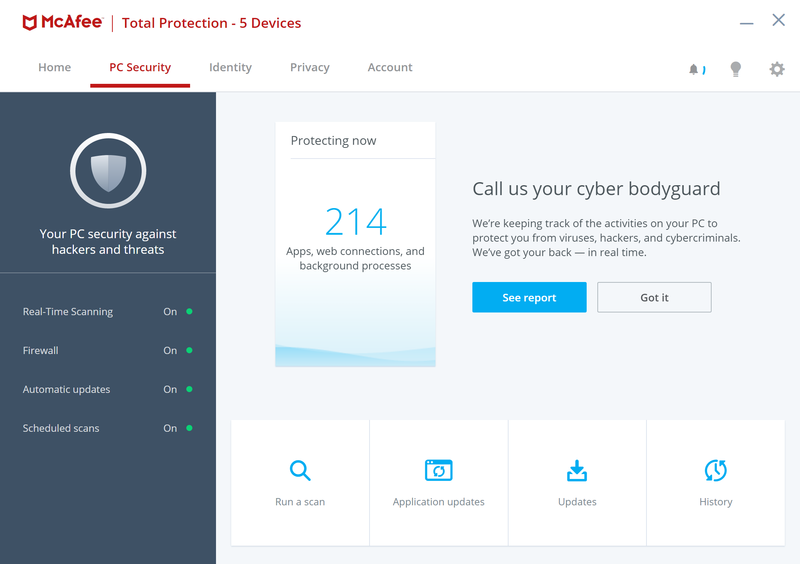 Total Security then goes much further, with a vulnerability scanner, spam filter, password manager, parental controls, network monitor, disk cleaner and file shredder. The difference between Total Security and LiveSafe is that Total Security does not include any free cloud storage space. Total Security doesn't have a complicated licensing scheme, so there's no need to count up how many devices of this or that type you want to protect. Total Security can be installed on as many PCs, Macs, phones or tablets as you need with the same subscription.